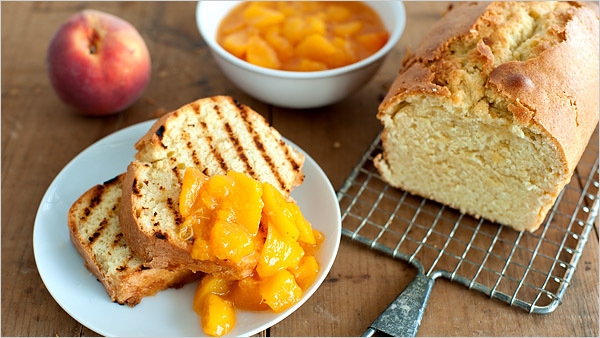 "Poundcake and peach compote, both infused with rose water." Rosewater cupcakes at a springtime picnic, decorated with pink icing and little delicate sugared flowers? All right, Mr. Willoughby, sign me up. Based on the article, my best bet for finding rose water in Berkeley is probably an ethnic grocery store like Milan International or Indus (which, as a bonus, has very reasonably priced lamb, which rose water apparently flatters as well.) For convenience, I’ll be checking at Berkeley Bowl’s fairly impressive international foods aisle first, and post back with what I find (or don’t find). Not convinced yet? Read the New York Times’ original article, and you might find yourself a convert too.